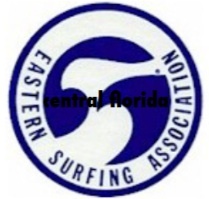 The Eastern Surfing Association is hosting its Southeast Regional Surfing Championships at the New Smyrna Beach Inlet April 18-21, 2013. The ESA is the largest amateur surf organization in the United States. Established in 1967, the non- profit ESA will bring over 200 competitors to the resort area for four days of exciting surfing and SUP surfing competition. Pam has been involved in the ESA for many years. “Her experience of organizing and running surf contests will make this event one of the best in years,” states Sommers. The competitors for this event have qualified through their local ESA districts. They will be competing for their chance to surf the ESA’s final championship event, the Easterns. A live, streaming webcast will cover all four days of competition on the ESA website. The ESA is welcoming any local sponsors who are interested. “Not only may businesses and individuals get a tax benefit for donating since the ESA is a non-profit, they are helping to promote this exciting event to a huge audience of various demographics,” Sommers adds. The ESA’s national sponsors include Under Armour, Sun Bum, Hyperflex Wetsuits, Starboard Surfboards, Jimmy Lewis SUP, Catch Surf, Surfer Magazine, Swellinfo, and Ransom Surf Wax. To inquire about sponsorship opportunities for this event, please contact Pam Hill at surfkittypam@msn.com. The ESA, which just celebrated its 45th anniversary in 2012, is a 501(c)(3) non-profit amateur athletic organization dedicated to the sport of amateur surfing. The organization promotes amateur competition for surfers of all ages and abilities, and is dedicated to the establishment and preservation of free access to a clean shoreline and ocean environment.